4,580 – 12,525 sq. 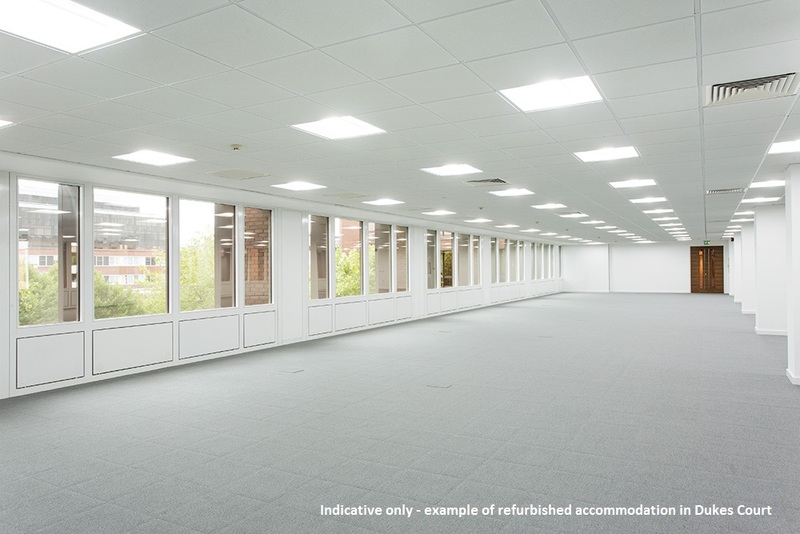 ft.
Dukes Court is a modern, purpose built Landmark office building in the heart of the town centre, close to Woking’s shopping and cultural facilities. 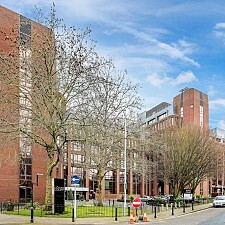 The building is home to a number of major occupiers including Fidessa, Petrofac and Plan International. 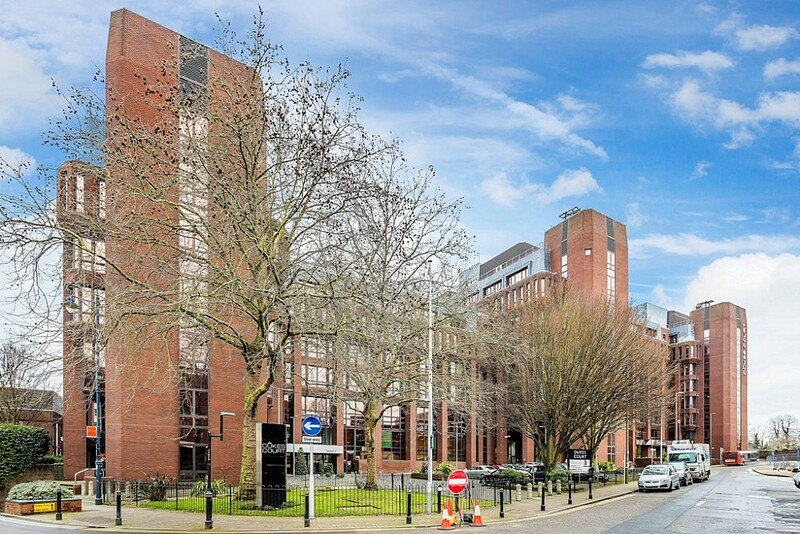 Dukes Court is situated in the centre of town, within a short walk of Woking station which provides a fast and frequent service to London Waterloo (27 minutes). Junction 11 of the M25 motorway is approximately 5 miles away, giving easy access to the national motorway network and beyond. The available accommodation comprises suites on 5th floor of Blocks A & B. 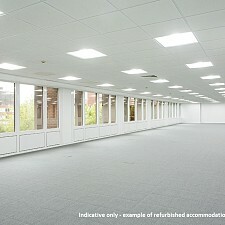 The accommodation is to be fully refurbished to include new suspended ceilings and LED lighting. The accommodation is available on a new sublease for a term expiring no later than March 2021. Alternatively, by separate negotiation, a new lease may be available direct from the Landlord.